Mill Spring, N.C. – US Equestrian announced today that Laura Graves (Geneva, Fla.) has been chosen to represent the United States in the FEI World Equestrian Games™ (WEG) Tryon 2018 Opening Ceremony presented by Coca-Cola® on Tuesday evening, September 11. The opening ceremony is the official start of the two-week equestrian competition that will name the world's best horse and athletes across eight Fédération Equestre Internationale (FEI) disciplines from September 12-23. In part, the ceremonies will pay tribute to the athletes and horses that have traveled to Tryon to represent not just their sport, but their country. Tryon International Equestrian Center, host of the 2018 Games, announced on Friday the opening ceremony is free and open to the public. The evening will feature special guest speakers, including FEI President Ingmar De Vos and North Carolina Governor Roy Cooper, as well as other signature performances and demonstrations and will culminate with a concert by five-time Grammy nominee country artist Hunter Hayes. 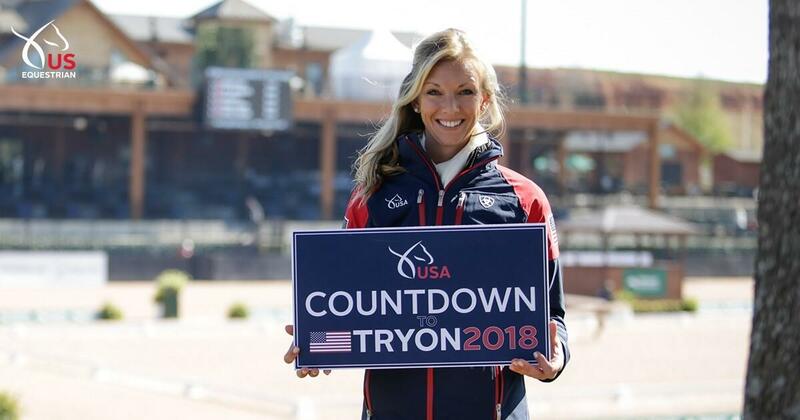 Admission to the opening ceremony is free, however, attendees must sign up for a free ticket online at Tryon2018.com under the "Tickets" link. Parking is $20 per car load and attendees will be shuttled to the main venue from the parking lot at 6985 S Highway 9, Columbus, NC. Gates to the parking lot, venue, and vendors open at 3pm. Tickets are limited and available on a first come, first served basis. Those who previously purchased Grounds Passes for September 11 will be refunded. Click here for tickets. For a schedule of events, participating disciplines, and more information on the FEI World Equestrian Games Tryon 2018 here. Be sure to visit the US Equestrian Booth during the opening ceremony at booth number B7, in the middle aisle of Vendor Village.